EACH STUDENT IN YOUR SPEECH GROUP NEEDS A COPY OF THIS SPEECH CURRICULUM FOR HIGH SCHOOL STUDENT WORKBOOK. 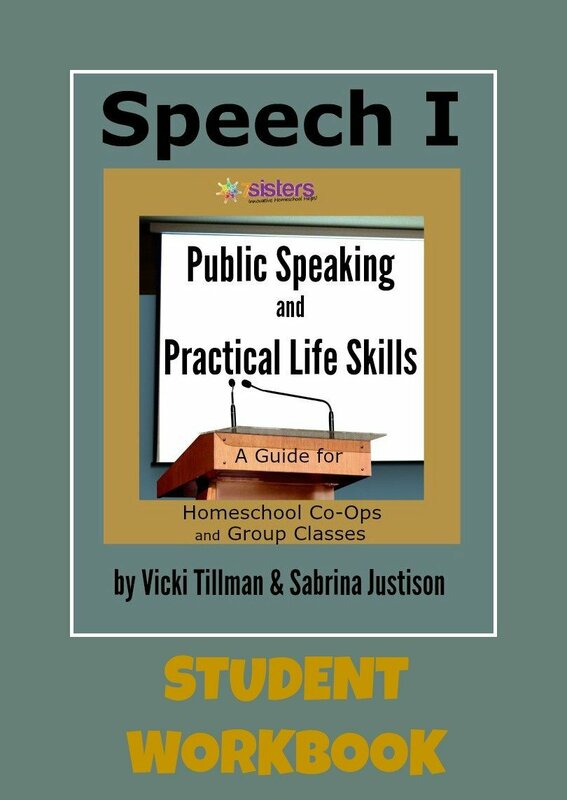 Only the teacher or group facilitator needs to purchase the SPEECH I – PUBLIC SPEAKING AND PRACTICAL LIFE SKILLS full-curriculum Teacher’s Guide. Speech just may be the most useful course your teen takes in high school. That’s what lots of our former Speech students in our local homeschool community tell us after they have graduated and moved on to college and the work force. We’re so happy to introduce our level I Speech Curriculum for High School! Speech I (Teacher’s Guide) includes 15 Lessons with Alternate Practice ideas included with each to make it easy to expand the curriculum for a FULL YEAR of weekly Speech classes.